I guess this word doesn't sum up my entire week but it does describe how I've been feeling about something all week. Last Friday we went to a church 'surgery' to discuss/book Eliot getting baptised. It is something I feel uneasy about since my OH mentioned getting it done. I'm not religious in any way and I suppose I feel a bit of a fraud taking my son to be baptised. My mum was born and raised a catholic but does not 'practice' the religion. On all school forms etc in the religion/faith box she would write or tick catholic. Yet I was never baptised. The OH's mum is catholic and therefore so is the OH. He was baptised and confirmed as a child. They are both keen for Eliot to be baptised and I have agreed. But I have felt strange about it all week, strange that I don't really have a faith yet I will be baptising my son. And it's hard because there is no compromise, there's no lets meet in the middle. It's either have him baptised or not. It is not going to hurt or cause any harm to Eliot. Yet I feel like I'm committing a crime because I don't practice a religion. The whole thing has left me feeling 'strange'. When the opportunity arose to review an item of clothing from the David Emanuel Range at Bon Marche I was keen to take part. If you're a fan of 'I'm A Celebrity Get Me Out Of Here' you would have seen David Emanuel in the series before Christmas. I must admit I haven't been in a Bon Marche store for years and thought it only catered for older ladies. But I was wrong! When I was asked to choose a piece from the new David Emanuel range I was pleasantly surprised. I was particularly drawn to some of the dresses, particularly the 'peplum' ones but as I know they wouldn't suit my figure I opted for the Heart Print Peplum Top which also came with a pendant. I love the peplum feature as I think it helps covering up bits you want to hide! I like to wear dark colours to hide my 'mummy tummy', so I love that this top is dark but not boring as it also has a print on it. The pendant that comes with it compliments the outfit nicely. Of course you can wear it with other items in your wardrobe, a great accessory! It fits me very well and hides all the bits I want hiding! This will be ideal for when I go back to work in April, it's comfy and the neckline is not low. I would also wear this on a casual date night and dress it up with heels. It has washed beautifully so I have been impressed with the quality and everything else about the top! If you haven't taken a ganders at the David Emanuel collection yet be sure to head over, there's currently a sale on selected items! *This product was sent in return for an honest review. All opinions are entirely my own. Eliot Jude you're 8 months old! Again this past month has flown by! As we edge closer to your first birthday mummy has come up with a theme for your 1st birthday celebration. You love your cuddly bee 'Bumble' that Nana J bought you when you were born so mummy thought it would be an idea to have a bee themed party after seeing lots of cute ideas on pinterest. I've been busy 'pinning away' and have lots of thoughts on what to do! Your little personality is continuing to shine through, you are still a very cheeky chappy who I believe will have a lot temper tantrums in the future as you are strong willed! You like getting your own way and can grumpy about the littlest thing. Saying that you are still a very happy baby boy and enjoy getting around in your walker, grabbing things you shouldn't be! We have a bit of a walker game where I creep up behind you and say 'boo', you think this is hilarious and walk a bit further on before turning around and waiting for me to say 'boo' again. This continues until mummy's knees get too sore! Your legs are getting very strong and you can hold yourself up on the sofa even though you are not really aware you are doing so. You still babble and chatter away, lots of dada, baba and other gobble-di-goop. Much to my delight you have also said 'Mum'. After dinner one evening I was saying 'mama', ' mum' when all of a sudden you said mum, much to mine and daddy's surprise. I haven't heard it again since so we still need to be working on it!!! You now have four teeth after your two top ones came through a couple of weeks ago. You are not keen on having them brushed even when I sing a little rhyme to you. You continue to be wary with people you don't know or haven't seen for a long time, usually crying when they pick you up. Once we've been in their company for a while you are fine. You are sleeping well in your own room and last night was the first night you have awoke. I think you must have had a bad dream. I gave you your dummy and you went back to sleep. The weather has been bad but we managed to get you on a swing for your first experience which you loved. We've also tried you facing forward in your pushchair which you seem to like a lot as you are very nosy! Food continues to be a favourite! You are beginning to be a bit more fussy, spitting out things you would normally be happy to eat or only eating it when there's nothing else on offer. You are loving pasta dishes and you enjoy chomping on chicken! With bottles I am still giving you a 7oz when you wake up and before you go to bed. Sometimes you don't finish them. You have been having one or two 4oz bottles during the day but often you aren't fussed about them. We haven't had you weighed lately but you are gaining weight for sure! You get heavier by the second! I can't hold you for too long before I need to give my arms a rest. You are still in most 6-9 month clothes but we have moved in to some 9-12 month sleepsuits and will need to move into 9-12 month bottoms as your legs and feet are very long. Apart from last night and when you were teething at Nana J's you have been sleeping right through until about 7.30-8am. I have been putting you down for a nap in the morning and you have been going for a sleep. The past two days we've had an earlier lunch and I've put you in your cot after that. Sometimes you sleep for over an hour and at others just twenty minutes!. You like the simple things in life, cardboard boxes, menus, tins to bash on and/or wave around. You have a love/hate relationship with the washing machine. It fascinates you but if you get too close you begin to cry. Mimi and Coco continue to entertain you by just being 'cats'. You don't like the singing frog toy that mummy was given as a gift many years ago. Tummy time is something you are still happier to do but still not for too long and you can maneuverer yourself around a bit. You found it very amusing when mummy made pigeon coo's at you. I'm very excited to announce that myself, @TheLondonMum and hopefully @MummyMorkus are in the early stages of organising a bloggers meet in London! I've been keeping an eye out for any announcements of local events since the #midsblogmeet was being planned last year. The Mids blog meet took place on Saturday and was organised and hosted by the lovely Emma from frugally peachy and Kelly from To Become Mum. I was gutted I didn't live close enough to attend! The day looked fab, if you haven't already read their posts about it be sure to check them out! As no opportunities for local meets have arisen I thought I'd ask a couple of other local mums if they fancied organising one. And here we are! We're looking to hold the event at the end of May. We have a maximum number of places in mind so it doesn't get too complicated to organise! If you would like to attend please leave a comment below or tweet me @teacher2mummy using the hashtag #blogmeetlondon. This will give us an idea of how many lovely bloggers want to attend so we can find a suitable venue. Keep an eye out for #blogmeetlondon tweets and future posts! 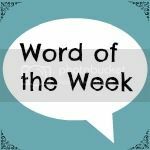 If you're a fan of that past TV series, 'Friends' you may recall an episode when the term 'phased out' was used. I'm pretty sure it's Rachel who says it after her break up with Ross, she was worried she was going to be 'phased out' by the rest of the group. Anyhoo the point of this post is because I felt pretty p'd off the other day, I think it was partly due to hormones but I can also be very sensitive about certain things. What led to me feeling a bit naff was good old facebook and it's updates, and another get together I hadn't been invited to. Ok not the worst thing in the world but it bothered me. 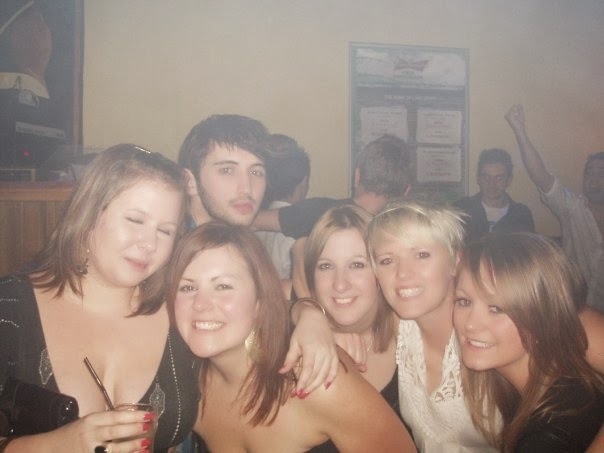 You see before I became pregnant I enjoyed a good old night out (or in) and a few drinkies with my friends. I had a great deal of these nights especially whilst I was at university. I don't particularly miss that, I'm not looking for nights out where I rock up at home around 3am and end up eating something repulsive! Besides a hangover whilst looking after my baby is not my idea of fun. On a night out with pals a few years ago. But what I do miss is seeing my friends regularly, having a catch up and good old gossip! I have various circles of friends who are all at different stages in their lives, only a couple of good friends have children. What I find hard is not being thought of. When I arrange a get together I like to think I always remember everyone in that particular 'circle' to invite. It seems now I've become a parent I don't get the invite, I presume it's because of the assumption that I will say 'I can't make it'. I am partly to blame though, I suppose I could do more about trying to arrange catch ups. I suppose I'm put off when so 'n' so can't do that date or this one. It can get very complex trying to arrange a meet with a group of pals! I wouldn't change how my life as a parent is at all! I just wonder if other parents have had similar experiences/felt the same or am I simply being over sensitive about it all? Socks...a very ordinary item of clothing we use on our 'tootsies'. For a long time now they have been somewhat of a big interest to Eliot. And by 'interest' I mean him pulling them off, me putting them back on only for the circle to begin again! A very amusing game (for Eliot) especially when chilling in the trolley whilst I try to shop in the supermarket. But this very ordinary moment is a rather big sign, a sign that of how much he has grown, learned and discovered since those early days. Discovering things about the world around him and taking an interest in them. It feels amazing that I am his mum and was able to keep him safe for nine months before he made his appearance in the big wide world. It's incredible how much he's changed since then and what he's learnt. He has a personality and knows what he does and doesn't like. He knows what he wants and doesn't want and communicates these things in his own little ways. I am sad that my baby is growing so quickly but in turn, I'm excited about him learning and discovering the 'next steps'. I feel so lucky that I am a mother and so proud of my baby boy. This week again I'm linking up with the ordinary moments over on Katie's blog. After finally finding time to sit and read a book, I'm able to write this review. It was sent by the team at Mumsnet. I loved the look of the book when I opened the package, its title in pink and a mint green cover with illustrations worked in to the border, very pretty. There are nine chapters in the book which cover various topics from 'Becoming a gran' to 'Difficult situations'. Throughout the book there are quotes from some 'real grans' of Gransnet sharing their own thoughts and experiences as grandparents. One of the best things about the book are these little insights, often making me smile. One particular favourite was a gran explaining her grandson had bought some homework to do and it happened to be on Venn diagrams, something she didn't have a clue about. I could totally relate to this as teaching has changed so much since I was at school! As a teacher I've often had parents saying 'we didn't learn it like that'. I think this is a great gift for any gran whether they're due to become a first time gran or not. With mothers day fast approaching it would be ideal. You can head over to Amazon to pick one of these up. Use whichever curry is you preference. I cheated with the garlic and ginger on this occasion too! This was handy in the freezer. First of all heat the pan before adding a couple of large spoonful's of curry paste and let it fry for about 5 minutes. This is my mums advice, so it doesn't have a 'raw' taste. Then place the sachet of creamed coconut into a cup of very hot water to soften. Next add the onion to. Once it has softened add the garlic and ginger to cook for a couple of minutes. Once they had cooked I transferred over to the slow cooker, tipping in the contents of the pan and adding the chopped tomatoes and creamed coconut. Give it a good stir before adding your meat. About half an hour before serving I added the potatoes and peas. Then cook for 2 hours on high or 4 hours+ on low. If you cook on the hob cover and simmer for a couple of hours. Serve with rice and/or naan bread. I have since cooked this with stewing beef and pork mince, I browned the meat off first when using these before adding to the slow cooker. If you enjoy reading parent blogs, you are probably well aware that the MADS nominations are up and running. If you're not familiar then here's a quick lowdown. They are awards for mum and dad bloggers. There are various categories that you can nominate your favourite bloggers in, after firstly nominating a 'Blog Of The Year'. There's a lot of 'blog love' going round, so I thought I'd also share some. These are the bloggers that got my vote. Heart Mammi is written by the lovely Gemma. She writes primarily about CHD, raising awareness and hoping it will help other parents following the same path. Her youngest daughter, Martha was born with CHD last year and Gemma has blogged the highs and lows. Heart Mammi was one of the first blogs I found when I thought about starting my own blog and I've been gripped ever since. Sparkles and Stretchmarks is written by the lovely Hayley, it includes an array of posts from very personal honest posts to reviews and family life. I love reading Hayley's blog as her posts engage her readers in such a friendly manner. Edspire Wishing On A Star is written by an incredible woman, Jennie and was a worthy winner last year. 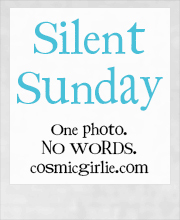 I am a 'silent reader' of her blog, so many times have I gone to post a comment but haven't. Jenny is an amazing, honest writer, I have been brought to tears several times reading about her beautiful daughter Matilda Mae and have been inspired by the wonderful messy play activities she writes about. Frugally Peachy is written by the wonderfully creative Emma. This year she's not shopping on the high street and is all blogging about it with lots of tips and advice. Emma also hosts craft blog club and has blogged some tasty looking recipes, check out the Nutella one! Mummy Daddy Me is written by Katie. 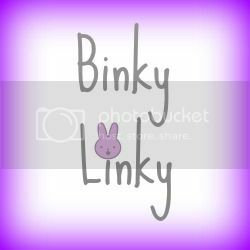 I have just started linking up with her weekly linky The Ordinary Moments. It's such a lovely way to document the little things in life that can easily be forgotten. Katie writes her posts beautifully and takes some fantastic photos. Coombe Mill is written by Fiona and includes a whole range of posts from life at Coombe Mill to her 'Country Kids' linky. I definitely want to visit Coombe Mill when Eliot is older, it's such a lovely place with lots of family fun to be had. There are so many other blogs I love, it's just a shame there is only one winner for each category! Make sure you pop over to the MADS Nomination Page to vote for your faves! Can you SPONSOR me to attend Britums Live 2014? Britmums Live, is an event well known in the parent blogger world but if you haven't heard of it, it's a two day conference that connects brands and bloggers, as well as helping bloggers enhance their blog. As a new blogger I believe attending this event will help me develop and improve my blogging skills, thanks to the opportunity of tutorial sessions and discussions. It will also give me the chance to meet brands and all the fab bloggers I've been connecting with through various social media sites and their blogs. Teacher 2 Mummy was 'born' in October 2013, documenting life as a first time parent, including the highs and lows, honest views and opinions. I enjoy participating in regular 'bloghops' to connect with others. I've also guest posted on other blogs, including the pbloggers blog. I am proud of my little space on the internet, it has grown through a variety of social media networks and the stats are continuing to grow! Last month my blog had over 2700 page views. I currently have over 1200 Twitter followers and over 400 likes on Facebook. I need a family friendly brand/small business to pay for the cost of my Britmums live ticket (£95). I live in London so do not need hotel expenses covered. Display your linked brand logo on my sidebar for the remainder of 2014. 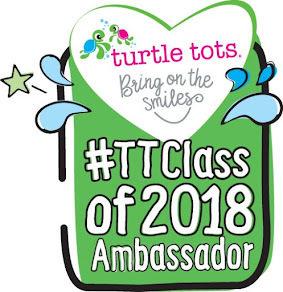 Introduce your brand as my sponsor on Teacher 2 Mummy. Share on Social Media networks. Write more posts before and after the event. If applicable, at the event I would wear personalised clothes/badges displaying your brand logo. I am co-organising a parent bloggers meet in London where I can also share information about your brand. I could add your brand logo to business cards I will be handing out at the event. The Ordinary Moments #4 We made it! 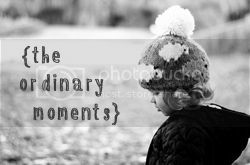 I'm linking up with 'The Ordinary Moments' over on Mummy Daddy and Me, you can read more about it here. You may have seen my ordinary moment last week when we failed to get to the park. This week we finally made it, yay! Eliot had his first ever go on the swings! We thought the weather was going to beat us yet again with winds and showers but we got there! To end our park visit we fed a flock of geese who were resting on the grass. Eliot quickly fell asleep but enjoyed watching the geese for a fleeting moment. As we all know, yesterday was Valentines Day, a day that many couples celebrate. I must admit that this year I wasn't really that fussed about it and didn't swap cards with the OH until after 10pm! However if you follow me on Instagram you may have seen a photo I posted of myself and the OH heading out for a late lunch date. Even though I wasn't really bothered about the 'Valentines' aspect, it was great to spend some 'us time' together. I believe 'us time' it is important for a relationship but finding it is easier for some couples than others down to various reasons. We are lucky that OH's mum lives close by so she was able to babysit Eliot for us. One of my all time favourite things to do is eat out, I've just always loved it whether its with the OH, family or friends. So I was thoroughly looking forward to our Valentines date at my favourite restaurant Siam Central, a Thai restaurant not far from Tottenham Court Road station. Especially since the last visit was a couple of weeks before Eliot was born! I was first introduced to this lovely place by a work friend a few years ago and have returned on several occasions. Its a small restaurant and gets packed even with some downstairs seating. We were lucky we dined a bit later and missed the lunch time rush! During the week they have an 'express menu' for lunch time where you can choose two courses for £8.50 or three for £10.50. There is a great selection of dishes to choose from, such as the traditional green and red Thai curries and the well known pad Thai (one of my faves!). Now here come the food pics! They were taken on my iphone so they certainly don't do the food justice. You have to eat it to savour the flavours! We always go for the two course lunch deal. The OH tried the chicken wings for the first time and described them as crispy and tasty but not his favourite starter here. I went for my 'old faithful' dish, prawn and chicken sesame toast, which were as good as always! For a main course the OH went for a stir fry with garlic and ground pepper, a dish neither of us had tried. Of course I had a sample and it was delicious, full of flavour and definitely something I would order. The OH had it with beef but there are other options available including tofu for vegetarians. I was boring and went with one of my favourite dishes, 'drunken rice'. A spicy fried rice dish, I also had it with beef. I hadn't eaten it in such a long time I had to get it! It didn't disappoint and I scoffed the lot! looking for a new place to try. Unfortunately I don't think it's one for families due to the tight space! I don't recall seeing children here and I'm pretty certain they don't have changing facilities. So its one for a couple or friend date! What restaurants do you recommend? Last Thursday I met with my new head teacher at work to informally discuss my from maternity leave. I came away from the conversation with what I expected to hear but also something to ponder. The following day I sent my formal request to return to work after making a quick decision. I received a response to acknowledge receipt of my email and then it was a waiting game. Each day I checked my staff mail to see if a response had landed in my inbox. No joy until Wednesday afternoon, where there it was, the response I'd been waiting for. I felt sick with nerves as I clicked to open. But soon the nervous nausea faded when I read I would be able to return part time. I was happy I'd be able to spend part of the week with my son and utterly relieved that I didn't have to take matters further. My'Dude' all ready for soft play partying! On Wednesday it was my nieces 7th birthday and Eliot had been invited to her party at a soft play centre. I'd recently read Hayley's post about soft play over on her blog Sparkles & Stretchmarks and worries about hygiene were already in my head! Then my sister said reviews about this particular place weren't great, so I guess I went in with some pre-conceived thoughts! Still I remember having A LOT of fun at soft play centres as a child and was excited about seeing Eliot's reaction as it was his first ever soft play visit and birthday party. When we arrived and got settled I took Eliot into the area for younger children. There were two gated off areas, one for under 1's and the other for under 4's. As we approached I could see a ball pit in the under 1 area and not much else. Apart from four boisterous boys who were well over the age of one chucking balls at each other and playing very roughly. I wasn't impressed and had to rein in my 'teacher mode', reminding myself I was not in my classroom and I had no authority. Now I expect kids to be letting off steam, especially after school but this was dangerous behaviour especially for babies and toddlers. Needless to say we swiftly moved on and went into the under 4's area where a mum and her toddler were playing. It had more to do anyhow. I went to put Eliot in the ball pit when the hygiene worries became paramount. I peered in and it looked grubby. Grubby balls, grubby soft cushion things, just grubby! But hey I'm still here after soft play expeditions so how bad could it be really?! In Eliot went, looking a bit perplexed and not really 'fussed' by the experience. I helped him stand up against a cushion and he played with a not so 'grubby' newer looking ball. Suddenly the four boys appeared, one clearly over 4 so yet another place he shouldn't have been playing in. The other mum eyed them too and commented it was getting a ' bit rough'. My niece came in to see us. I turned my back to play with Eliot and before I knew it my niece was tapping me to tell me that 'that boy hurt her', whilst pointing him out. He'd thrown a ball in her face. As I was trying to ascertain whether it was an accident I heard tears. It was a little girl who happened to be with the party. She told me a boy had 'slapped her in the face'. I was fuming especially when I saw her glasses had been knocked off. She pointed out another of the four boys as the culprit. My 'teacher mode' got the better of me and I spoke to the boy who'd thrown the ball in my nieces face. When I asked if he'd thrown the ball I got a response I've seen countless times as a teacher. No words, shaking of the head and guilt written all over his face. I asked him who he was with, no response. So I found the nearest member of staff and explained, she said she'd get the manager to deal with the behaviour issue. I told my sister I was tempted to speak with the parents but she wasn't for it and it wasn't Eliot that had been hurt so I didn't. I don't even think the behaviour was dealt with by staff! It's got me thinking about how I would deal with future situations with Eliot. What would you have done? Today I'm linking up with the new Five Among Friends Linky which is a post between some of my favourite bloggers. You can read more Here. I started this blog to document memories of our life as a family, hoping to capture moments that can easily be forgotten. I hope I can keep up with it when I return to work! 3. How did you choose the name of your blog and why? I wrote down several ideas and asked my OH's opinion. I guess I chose teacher2mummy because being a teacher has been a big part of my life and now I've become a mother, it's the most important part of my life. If you are a fan of beauty blogs/vlogs it's more than likely you will know viviannadoesmakeup.com . Back in my uni days in Brighton I used to work with Anna in a part time retail job, her first ever job! 5. What is your favourite and least favourite thing about blogging? I suppose my favourite thing so far has to be knowing I can look back on some of the little things that might be easily forgotten. Also connecting with new people and getting tips and advice from those experiencing similar parenting things. I've been only been blogging since October so I don't really have a least favourite thing ...yet. 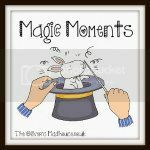 I had a truly magic moment on Friday evening. The three of us were sitting at the table after dinner. Eliot was babbling 'dada', 'baba' which he has been doing for weeks. Of course for sometime I have been babbling at him 'mum', 'mama'. So I did it on Friday and couldn't believe it when Eliot was able to copy me and said 'Mum'. The OH and I looked at each other in disbelief, I was glad he was there to hear it too as I probably wouldn't have believed it! I'm sure I won't hear it again for a while but it was a magic moment I shall remember forever! Thank you so much for stopping by! I appreciate comments and read all of them! Hi I'm Lucinda, mum to one 'strong willed' fivenager and baby girl with a rare genetic condition. Also a primary school teacher, chocolate, coffee & prossecco lover! The Ordinary Moments #2 A bath in a...bath!